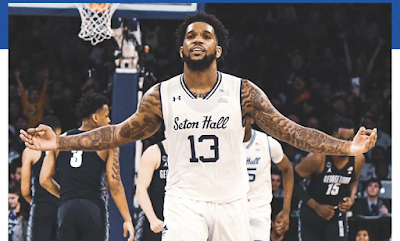 The Seton Hall men's basketball team has turned into a perennial power in the Big East Conference, as they reached the conference tournament final on Saturday night as lost a nail-biter to Villanova. On Sunday, The Pirates earned a spot in the NCAA Tournament for the fourth consecutive year. received an at-large bid and and have been slotted in as a No. 10 seed in the Midwest Region and will face No. 7 seed Wofford in Jacksonville on Thursday. The four straight appearances in March Madness ties a program record. The Hall also went dancing in 1991, 1992, 1993 and 1994. 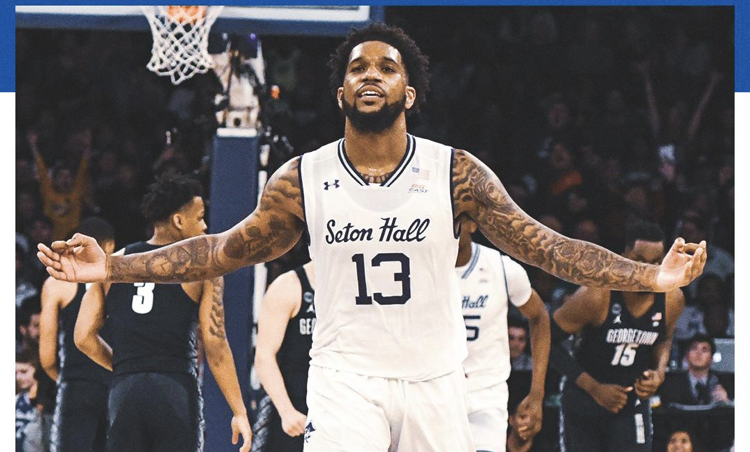 In addition, Seton Hall joins Iona (also 2016-19) as the only Metropolitan New York area schools to go to four straight NCAAs since the Pirates' 1991-94 run. This will be Seton Hall's 13th all-time NCAA Tournament appearance, all of them coming since 1988. The Pirates are 16-12 all-time in NCAA games with trips to the Final Four in 1989, Elite Eight in 1991, and Sweet Sixteen in 1992 and 2000. Last year, the Pirates earned their first NCAA Tournament win since 2004 when they defeated NC State in the first round. Led by ninth-year head coach Kevin Willard, the Pirates exceeded all external expectations of this squad this season. After being picked to finish eighth in the Big East coaches preseason poll, the Pirates went out and finished third for a fourth straight season. Their 9-9 Big East record gave them four straight years of a .500 or better conference record for the first time in program history. Including a 5-4 record against nationally ranked opponents, Seton Hall has a 20-13 record to post a fourth straight 20-win season for the first time in program history. The Hall is led by junior Myles Powell (Trenton, N.J.), an All-America candidate who earned a spot on the All-Big East First Team who ranks in the top 15 in the nation in scoring at 22.9 points per game. He is coming off an epic performance at the Big East Tournament, where he scored 78 points, the eight-most in single-tournament history, including a tournament record 29 points in the first half of the quarterfinal game vs. Georgetown. Senior Michael Nzei (Makurdi, Nigeria) is the 2019 Big East Scholar-Athlete of the Year and the program's all-time leader in games played. He will become just the third Seton Hall student-athlete to play in four consecutive NCAA Tournaments.